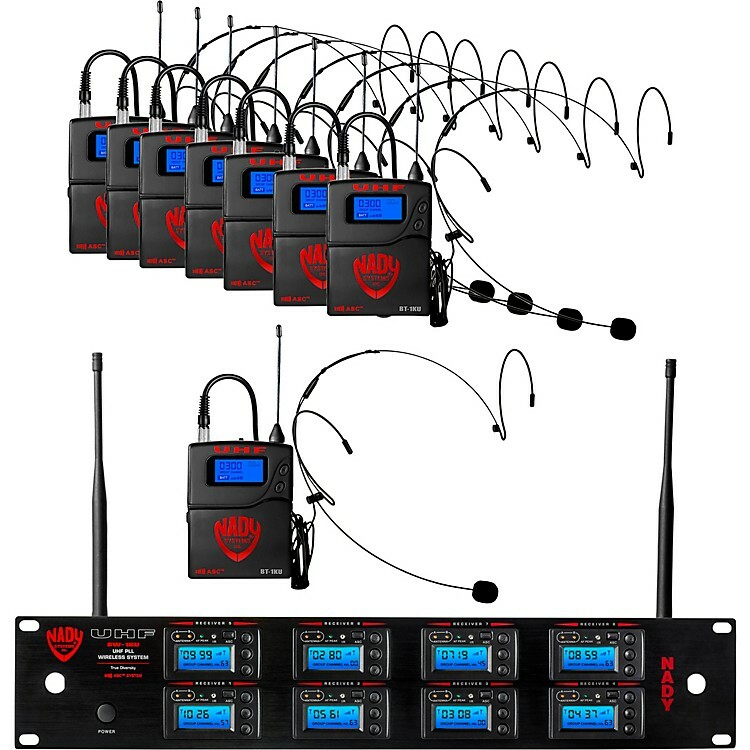 This sleek, double-rack, eight channel wireless receiver combination along with eight reliable headset microphones is an ideal package for all kinds of performers. Musical theater groups, dance troupe, a capable groups, and more can take advantage of hands-free vocal expression in ensemble contexts. Count on Nad for quality, affordable performance. Order today and give your performing arts group a boost.